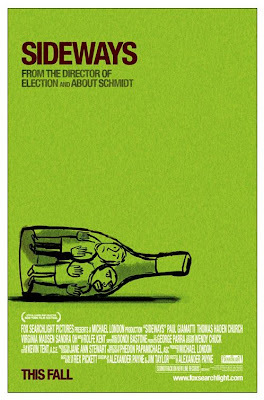 This event from featuring the movie Sideways at Gordons has been canceled. 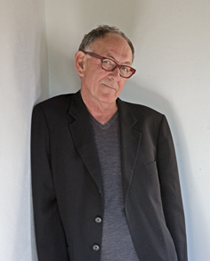 I'll leave my related commentary posted here- sorry for pointing you to a non-existent event. 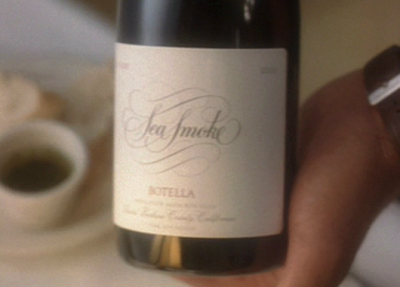 I wrote-up my impression of the 2004 Sea Smoke Southing Pinot Noir HERE. Really oustanding stuff I'd encourage you to buy if you see it around, and if not- seek it out. 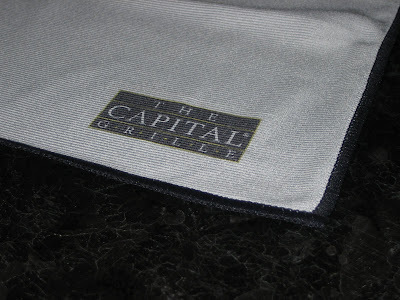 I'm headed to a Chef's Table dinner tonight at one of my favorite restaurants- The Capital Grille on Newbury Street. Some friends and I won it in a WGBH auction earlier this year- really looking forward that. Whatever your plans are, I hope you have a great weekend! Everyone likes drinking out of a sparkling clean wine glass and while it's not the most important purchase decision you'll ever make, finding the right wine glass towel can really make a difference in how clean your wine glasses are. You'd think it would be easy to design a great wine glass towel. It's just a matter of finding the right fabric and slapping a logo on it, right? It must be harder than it seems because my testing revealed tremendous differences in the performance of the 5 towels tested. Over the past year I've been testing every wine glass towel I could find. 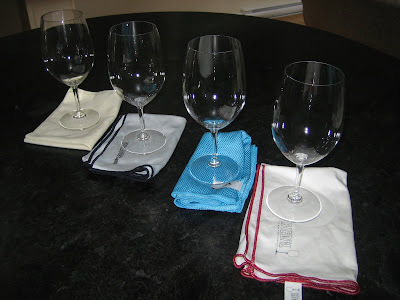 After purchasing a set from Wine Enthusiast, I've been able to track down a total of 5 towels specifically designed for cleaning wine glasses. Of the 5, I'm able to give positive recommendations to 2 of them, and one receives my top pick. Although they're dishwasher safe, I don't run my wine glasses through the dishwasher. They're too large and awkward, and the dishwasher is usually full of regular dishes (and sippy cups). I typically wash my wine glasses by hand, turn them upside down on a dish towel for just a moment to let the water run off, and then I dry them with a wine glass towel to remove water spots. I've tried using a regular kitchen dish towel, but the towels tend to be wet and dirty from regular kitchen use. If I do pull out a fresh kitchen towel, it tends to leave lint residue on the wine glasses. For these reasons, for me, dedicated wine glass towels are a legitimate accessory. Lint-free The primary reason I sought out dedicated wine glass towels in the first place was because my kitchen towels left lint residue. This is the most important characteristic of wine glass towels because the last thing you want is a glass with lint residue that ends up making the glass look dirty -or worse- leaves lint floating around in your wine. Odor-free Fortunately, none of the towels I tested left a noticeable odor. Absorbency If the towel isn't absorbent enough it'll take a long time to get the water off the glasses. Size/Weight It's the combination of the two that is important because you want a towel that's large enough to substantially fill a large Bordeaux-style glass so that you can spin the towel around and clean out the inside of the glass. If the towel is too small, it will be difficult to reach the bottom of the inside of the glass. If the towel is large but thin, it just collapses in the glass. Pliability If a towel is too rigid it'll be difficult to to drape it around the glass and remove all of the water. Grabby-ness/Buffing Quality The best towels I tested not only got the glasses dry and clean, they seemed to have a buffing quality to them. Towels-per-package I think a 2-pack is the perfect size. If you have 2 towels, you can have one being laundered while the other is being used. Or if both are clean you can have a back-up in case you need to dry off a lot of glasses all at once. I tested all of the towels over a period of months. 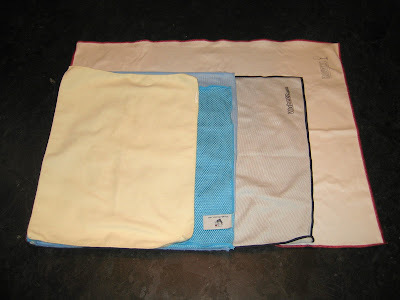 I put them each through multiple laundry cycles with other towels and often with baby bibs with velcro. As I noticed flaws in each of the towels, I'd use it less and less. After a while it was clear to me what my preferred order was and when I'd go back and try one of the non-preferred towels I was instantly reminded why I stopped using it. Here are my thoughts on each of these towels, written up in the order in which I discovered them. With the exception of the 1st towel that I purchased, all of the towels were samples I solicited. These are the first towels I tried. I was not happy with them. Due to their small size and pliability, good for cleaning eyeglasses. Major large-lint problem. Left nearly as much lint as kitchen towels. Not absorbent enough. Takes a long time to dry and clean each glass. Too small. Very difficult to reach the inside of large glasses. I first heard of Wubeez from THIS REVIEW on The Second Glass. I received a sample of the towels and I was *very* impressed. This towel worked very well. Perfect balance of absorbency, weight, and pliability. They seemed to get the material just right on this one. Very good buffing characteristics. Leaves the glasses sparkling. 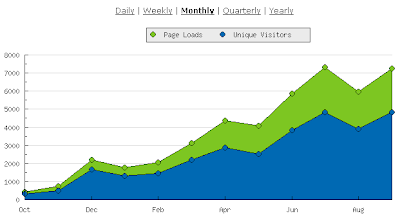 Design isn't the most elegant in the world. Looks a little bit like a shop rag. Just a little too small- hard to fill up a Bordeaux glass with one of these. Recommendation: Favorable, but this product has been replaced with a new towel. See 2nd Generation review below. This is strong entry from the Riedel wine glass company (rhymes with needle) . 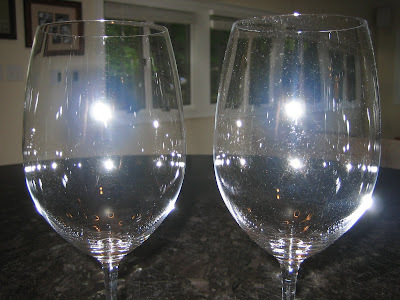 The product is thoughtfully designed and marketed consistently with their industry-leading glassware products (see my review of Riedel wine glasses HERE). Size. This was the largest towel of the group. Aesthetics. This was the most refined and elegant looking towel I evaluated. Its white background makes it easy to see when the towel has gotten dirty and needs to be washed. 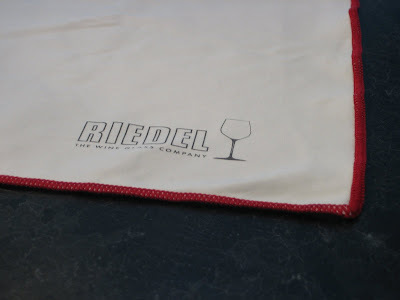 Its red trim with black Riedel logo look crisp. Absorbency. It takes me a couple of passes to dry a wet glass with a dry towel. Weight. Although the towel is by far the largest, the lightweight material it is made of collapses on itself when you try to bunch it up inside a large glass. I really had high hopes for this one. I was ready to fry the first Wine Enthusiast towel when I noticed that Wine Enthusiast was carrying this new towel. Lowest per-towel price of the group. These are sold in 4-packs. Poor durability, especially in conjunction with velcro items in a laundry cycle. Leaves noticeable fibrous lint remaining on glasses after use. 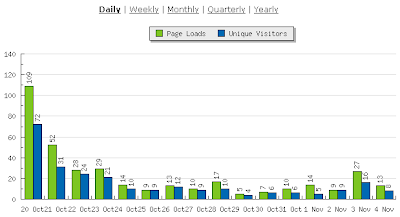 Take a look at this picture below (and click on it to increase the resolution). It was a little difficult to capture in a picture, but the glass on the left was cleaned with the towel that was my top pick. The glass on the right was cleaned with the Wine Enthusiast Microfiber Wine Glass Towel. The Wine Enthusiast towel consistently leaves an obvious and problematic amount of lint on the glass. The nature of the lint is different than the first towel I mentioned in this review, and also different than what I see from regular kitchen towels or paper towels. The lint is small and fibrous (as opposed to more of a natural cloth-like lint). Very peculiar and definitely not good. 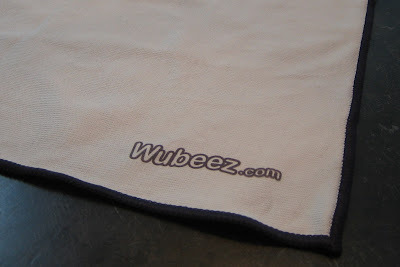 Mid-way through my testing, just as I was getting ready to write a fairly positive review of their 1st Generation towel and mention some areas for improvement, Wubeez contacted me and told me they had a new version of the towel they were releasing. I received a sample of this new towel and it addressed all of the areas I noted for improvement. Same great fabric as their 1st generation towel, but this new version is more elegant and refined. Larger than the original, this new version fills a large Bordeaux glass nicely. 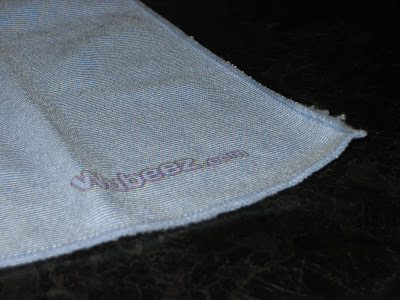 The border of the towel is stitched more cleanly and it no longer gets frayed in the laundry in my tests. Dries glasses quickly and easily. The perfect balance weight and absorbency while still being pliable. For better or for worse, this product hasn't reached wide distribution yet. Like many wine accessories, glass towels aren't a necessity. They do make for a nice stocking stuffer, small item to pair with a gift of a bottle of wine, or small item to round out Amazon Free Super-Saper Shipping. If you drink wine a few times a week they're definitely nice to have. 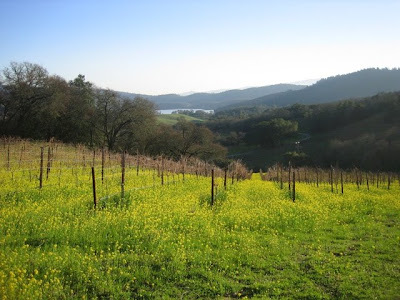 If you work in a restaurant or a winery tasting room, you'd probably agree they're a must. Either way, I hope you found this review useful. I'd like to thank all of the companies that submitted towels for review. I truly appreciate it. Giveaway! If you have a question or a comment, leave it below by the end of the week and you'll be entered in a random drawing for your choice of any one of the wine glass towels featured in this review. If you don't live in the continental US I'll send you a $25 Amazon gift card. If you're not into Twitter, or want an even better chance of winning, subscribe to this site via E-mail for yet another chance to win. The more interest, the more towels I'll give away! I'll announce the winner(s) Monday November 2nd, 2009. 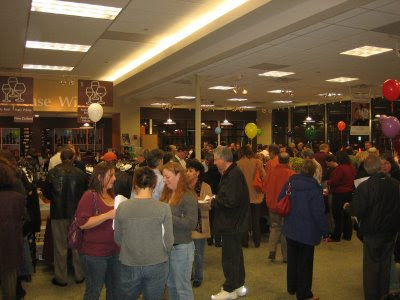 Bin Ends Wine in Braintree, MA (the area's premier off-price wine retailer) is holding their now-monthly fine wine flea market this Sunday October 25th, 2009 from 1-5PM. This time, they've selected a charity to benefit from the festivities- Hugs for Healing. Question: It's great to see the event provide support for a local charity. 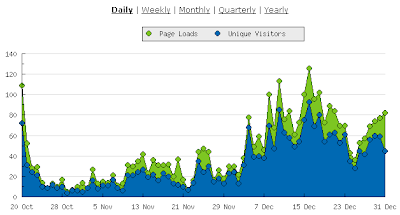 How did you chooose Hugs for Healing, and why is the cause special to Bin Ends Wine? Craig Drollett: The charity was actually chosen by our store manager Dan Comer who has a family member dealing with cancer. He came to us with the idea back in August, and we wanted to do everything we could to help support the cause. Question: How can people support the cause at the event? Craig: There will be multiple ways to support. Representatives for Hugs for Healing will be here in the store accepting donations, we'll have special wine offers throughout the day that the proceeds will go towards the cause and there will also be a very exciting raffle in which we'll be giving away large format bottles, (via a giftcard) and gift cards to local businesses. Sounds great. I'll look forward to attending the event and I hope you will too. Follow @Morton's on Twitter, and while you're at it a @SommelierSara who works and tweets from one of their Chicago locations. 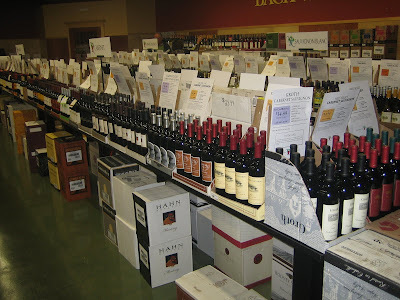 I had a great time last Friday night taking part in TasteLive's Wines of Germany online tasting. We had a chance to taste through 4 Rieslings from S.A. Prüm and they were, like many German Rieslings, fantastic. At this point, I'm having had a hard time finding a $15-$20 German Riesling I don't like. It's an outstanding category full of value. The thing that's great about Riesling is this: It's fruity and delicious and therefore a delight to drink. Even people who normally don't like the taste of wine like Riesling. However it's no White Zinfandel- wine geeks get really excited about Riesling for its complexity and balance. 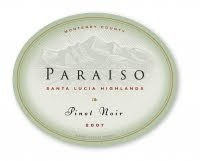 Another nice feature: It tends to be lower in alcohol than other wines so you won't get parched and wake up the next morning slow-moving after drinking a couple of glasses. Some German wine makers seem to be taking an interesting approach in this respect: They maintain traditional labeling for their estate/higher-end bottles while offering easier to remember wines at lower price points. Like the "Dr. L Riesling" or the "S. A. Prüm Essence Riesling". The nose reminded me of an old candy I used to enjoy: Certs Mixed Fruit. 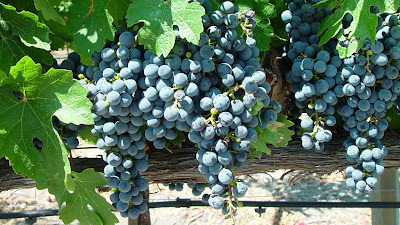 Imagine crushing some of these up and smelling them- you get minerality and fruit. On the palate, nice heavy fruit. Apricots more than peaches. I think this wine would be great to serve at a gathering. It's a crowd pleaser. This one is more serious than the Essence, and offers more of what I'm looking for in a German Riesling. Wet stone, green apples and citrus. The first bottle I reached for the day after the tasting and my favorite wine of the night. Stunningly pure. Here's what I mean by that: You let some of this wine rest on your tongue to get a taste and it radiates a delicious sunbeam of Riesling goodness. Radiant. Just the slightest hint of Petrol. A textbook example of what Riesling can be. The only wine that came with a cork enclosure (the others were screw cap). Too much Petrol for my taste, but otherwise a very good wine and similar to the Urzinger. 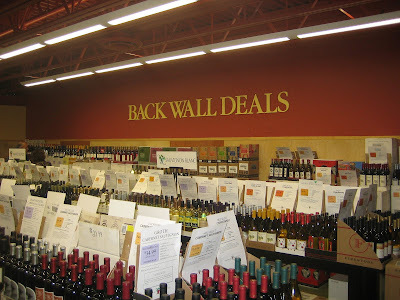 Recommendations: If you haven't had a German Riesling, seek one out for between $15 and $25. If you've had German Rieslings but haven't tried wines from S.A. Prüm then give them a go. Check back soon (or better yet subscribe! )- I'll be offering up my opinions on Finger Lakes Rieslings after tasting through a dozen of them recently. 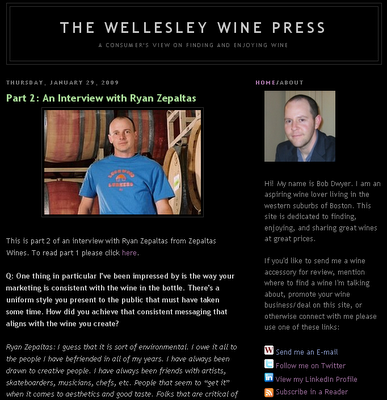 In the mean time, head over to The Passionate Foodie to read his take on Finger Lakes Rieslings. Thanks to Wines of Germany the chance to taste through these wines. 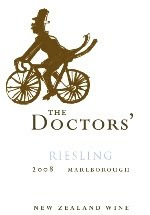 Question of the Day: What are some of your favorite Rieslings? Judging from the wines presented at the tasting, the most popular wines from the Loire Valley are made from Sauvignon Blanc (Sancerre and Pouilly-Fumé), Chenin Blanc (Vouvray) and Cabernet Franc (Chinon and Bourgueil). I'd estimate that close to 75% of the wines at the tasting were white, so if you're more into red wines at this point this region may not be for you. With the exception of their earthy (and sometimes downright barnyardy) Cab Francs, there isn't much red wine to speak of from the region. I enjoyed tasting through the Sauvignon Blanc based wines from Sancerre and Pouily-Fumé. Not a whole lot of difference between the two, but a huge difference between these wines and Sauvignon Blanc from New Zealand. 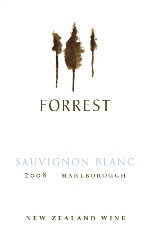 Whereas SB from New Zealand is more pungent, these wines are more restrained aromatically. On the palate, they have wonderful minerality and acidity- very food friendly. 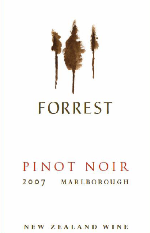 They say these wines are a value play, but unfortunately New Zealand is hard to undercut on price in this category. You can get a really tasty bottle of New Zealand Sauvignon Blanc for around $10-12. Still, if you're more of an old world type these are the benchmark by which all Sauvignon Blancs are measured. Recommendation: Try a Sancerre in the $15-20 range if you like New Zealand Sauvignon Blanc but are looking to switch it up a bit or serve it with a light dinner. I've enjoyed Vouvray in the past, and the ones I tasted at this event were no exception. Such an intriguing, multi-faceted wine. One I tasted in particular brought some amazing asparagus/vegetable components, but at their core the wines were more fruity and flavorful than the Sauvignon Blancs. More of a crowd pleaser I think. Recommendation: Definitely try a bottle of Vouvray next time you see one in the store. It shouldn't be hard to get a good one for $15. I only tried a few of the Cabernet Franc-based reds at the tasting. They weren't nearly as barnyard the first one I tried (which was so funky that I'm still avoiding the category). 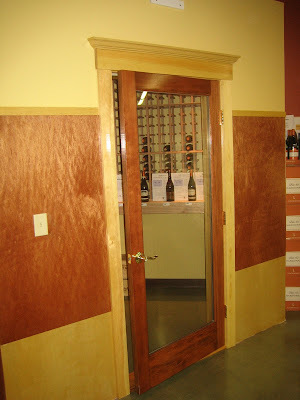 The wines I tried were reasonably enjoyable, although I'm in no hurry to seek them out. I'm still hard pressed to pass along a recommendation in this category. Recommendation: Watch this Wine Library TV episode to learn more about what to expect from Loire Valley Cab Franc. Question of the Day: What do you think of Loire Valley wines? A source of value in France? A category you'd like to learn more about? Been there/done that? Da Vinci Ristororante in Boston is offering a 5-course wine dinner this Thursday October, 8th 2009: The Connoisseur’s Tour of Italy. Park Square’s premiere Italian eatery Da Vinci Ristorante and Domaine Select Wine Estate’s Northeast Division Manager Daniel Burgio will combine forces and host “A Night of Perfect Balance.” This five-course specialty Italian wine dinner will reveal an extraordinary evening of Executive Chef Peppino’s masterful culinary creations expertly paired with Burgio’s vineyard choices for the perfect wine compliment. Daniel Burgio will introduce each course and provide a brief commentary on the selections, alongside Chef Peppino. Cost: This complete 5-course menu with wine pairings is available for $65.00 per person. 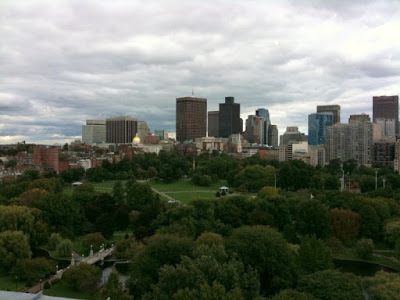 For more information or reservations, please call 617-350-0007 or visit www.davinciboston.com.